Статья о том, как правильно выбрать кондиционер. One-trumpet systems of water heating have no return struts, and the water cooled in heating devices, comes back in submitting struts (fig. 7 and, 7. 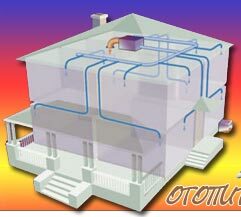 In one-trumpet systems in the bottom heating devices the mix of hot water and the water cooled in the top devices arrives. As temperature of this mix below a water temperature in devices of the top floors the surface of heating of the bottom devices should be a little increased. In one-trumpet systems water circulates in heating devices and struts which feed them, owing to a difference of water temperatures in those and others. It is possible to arrange one-trumpet systems under two schemes. At the scheme resulted on fig. 7Р°, in the top radiators the water part arrives from a strut only, other water goes on a strut to nizheraspolozhennym to radiators. 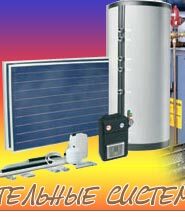 The quantity of water for each heating device can be regulated the cranes established at devices. 1 - a submitting (main) strut; 2 - the pipeline of return water; 3 - a copper; 4 - a broad tank; 5 - heating devices; 6 - a modulation; 7 - the safety pipeline. Other flowing system is shown on fig. 7Р±. Here all water from a strut passes consistently through all heating devices, since the top. Unlike simple one-trumpet system, in flowing system in underlaying radiators the mix of the water hot and cooled in the top devices, but only a chilled water arrives not. In flowing systems it is impossible to put at heating devices usual cranes of double adjustment . If such cranes, that have been established, having blocked at this or that device the crane, would reduce water delivery in all devices attached to a strut, and completely having closed one of cranes, it is possible to stop water circulation through all devices of the given strut. Meanwhile installation of heating devices without cranes involves the big inconveniences as then begins impossible to regulate air temperature in premises. 1 - a submitting (main) strut; 2 - the pipeline of return water; 3 - a copper; 4 - a broad tank; 5 - heating devices; 6 - an air pipe; 7 - a modulation; 8 - the safety pipeline. 1 - a copper; 2 - the main strut; 3 - a broad pipe; 4 - a broad tank; 5 - a submitting line; 6 - an air collector; 7 - struts; 8 - a return line; 9 - the pump; 10 - tees with stoppers. One-trumpet systems of heating can be carried out only with the top distributing , therefore them apply in buildings where there are attics and where it is possible to have submitting highways in the top floors. Poetazhnyj start-up of the given systems in action is impossible, and in it their lack. However in comparison with two-trumpet systems (fig. 6) one-trumpet is easier than heating in installation and, besides, have more beautiful appearance . Their advantage that on the device of one-trumpet system is required less pipes, than on the device two-trumpet. 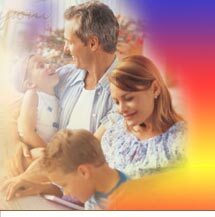 All these positive features of one-trumpet systems are rather essential and quite justify their wide application.